At the Palazzo Ducale in Sabbioneta, Vincenzo Marsiglia presents his exposition Dopo-Logica/o, which, first of all, represents the dialogue between the building itself and its historical and artistic roots. 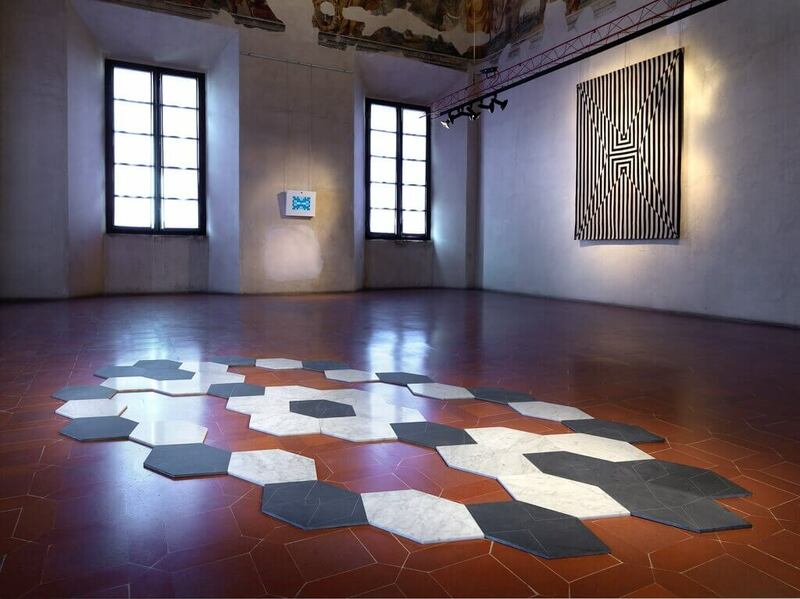 Only after a careful study of these spaces, of the decorations and after having understood the value of voids and silences, Vincenzo Marsiglia selected 15 of his own art works and exhibited them by intelligently blending them with the surrounding space and atmosphere. The observation and study of the reality is the common element of all his works. Starting from this analysis, Marsiglia creates alternatives dimensions through his Unità Marsiglia, a four point-star which symbolizes the scientific map of every visible surface. The artist represents the surrounding reality as a variable yet stable and defined unity and through painting, technology and sculpture he is able to transform bodies and their perceptions. The spectator is completely absorbed following the guiding path given by the artist. In Marsiglia’s works the past can be renewed, where new harmonies and stories can be found.